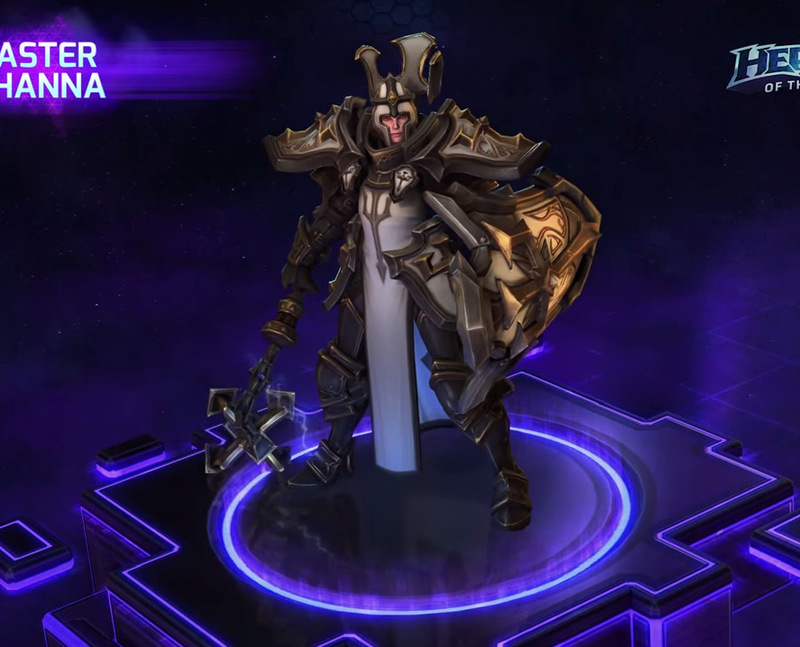 Heroes of the Storm will be adding another Diablo 3 character to its ranks soon. 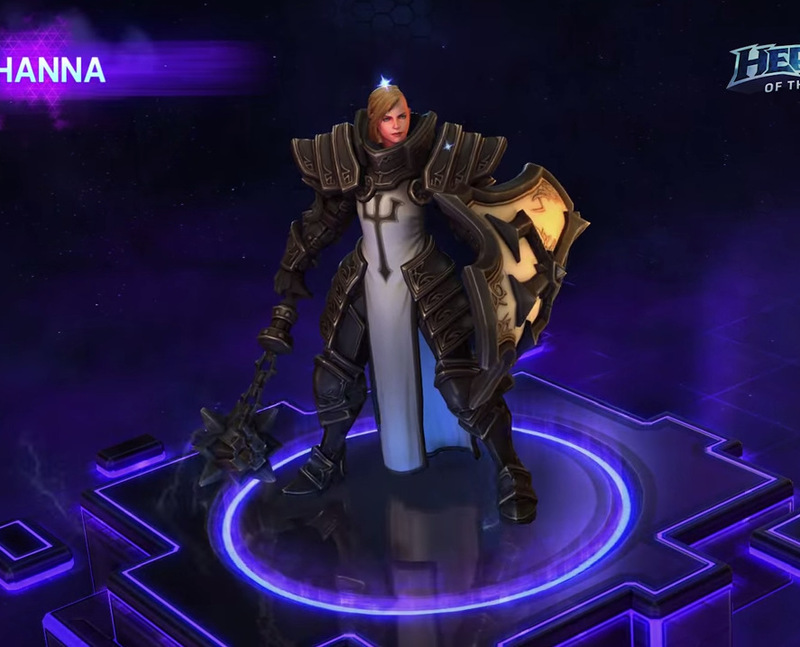 Johanna is based on the Crusader class first introduced in the Reapers of Souls expansion. Johanna has a lot of crowd-control at her disposal. Her Punish (Q) ability lets her slam nearby enemies with her shield and slow them for two seconds. Condemn (W) pulls nearby enemies toward them, stuns then for a quarter of a second and then deals damage. Shield Glare sends out a cone of light from her shield that hurts targets and also makes them miss their next two basic attacks. Her first Heroic ability (R), Blessed Shield, lets her imitate Captain America. She flings her shield at an enemy to damage and stun them for two seconds. The shield then bounces to two other opponents and stuns them each for a second. Alternately, she can pick Falling Sword for her Heroic. When she casts Falling Sword, she'll leap into the area and then land two seconds later. Upon landing, she'll deal damage to all enemies nearby and also knock them into the air. Her Trait, Iron Skin, helps her last longer on the front lines. Every 20 seconds, she can cast it to absorb extra damage over four seconds. 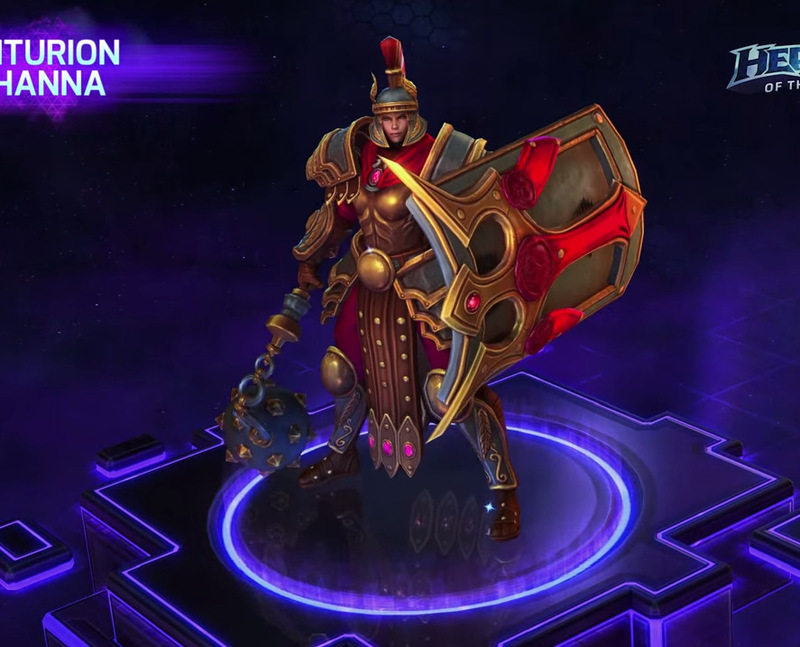 When Blizzard releases Johanna in Heroes of the Storm, she'll be accompanied by two alternate skins. The Master Skin gives her an extra layer of armor on top of her normal outfit, while the Centurion Skin makes her look like a Roman soldier. You can check out the full set of skins in the gallery below. @Bitme567 @BlizzJohnzee Kael'thas will be the only Hero released in the next patch. Johanna is still in development!